For more information about Accounting at Heriot-Watt University, please visit the webpage using the button above. Our Accounting research looks at the relationship between the accounting profession, governance and society and explores the nature and purpose of accounting institutions and practices, with a view to improving social well-being and stimulating greater accountability. A key part of this is our Accounting Research Centre (ARC) which explores these areas of interest from a variety of perspectives, including Arab and Islamic contexts, historical analysis, gender issues, public sector contexts and interdisciplinary approaches. ARC's work covers a diverse range of research linked by the common thread of the continuing and significantly growing influential role that accounting plays in the functioning of modern society. * If you are unsure which category you fall in to, you should complete a fee status enquiry form, which allows us to assess your fees. View our full range of postgraduate research scholarships. We welcome applications from suitably qualified candidates. Please note that it is not necessary to have identified a potential supervisor before submitting your application. Students successful in obtaining a place on our PhD programme normally commence their research studies at the start of the academic year in September. However, it is possible to join the PhD programme at an agreed date during the academic year. 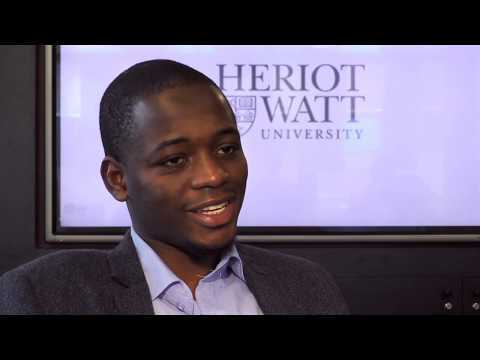 Applications should be submitted via the Heriot-Watt online application portal. Copies of full academic transcripts from all previous academic degree courses and copies of degree certificates for degrees already awarded. If you are currently pursuing a degree course please provide all available marks to date. The research proposal should be around 5-8 pages long and contain as much as possible of the following: an introduction or outline of the proposed topic; a statement of objectives and/or specific research questions; a summary of some of the relevant literature which supports the research objective(s); an indication of the intended research methodology; an indication of the theoretical structure and/or conceptual outline; a provisional timetable of the major phases of the research process; results expected from the research e.g. practical value of the research or possible contributions to knowledge or policy or methodology. At this stage we are not looking for a definitive document but merely an indication that you have thought through most of the above issues. Please note that work submitted may be subject to screening via plagiarism software. See section on English Language Requirements below. You should confirm how you are proposing to fund your studies. If you have references available these should be submitted with your application. If they are not currently available please ensure that you provide the names and contact details, including email addresses, of two academic referees on the application form. You may also submit a Curriculum Vitae if you wish. For IELTS: the minimum overall IELTS score is 6.5 with no score lower than 6.0 in Reading, Writing, speaking and Listening. Read further information on Tier 4 (General) student visa.